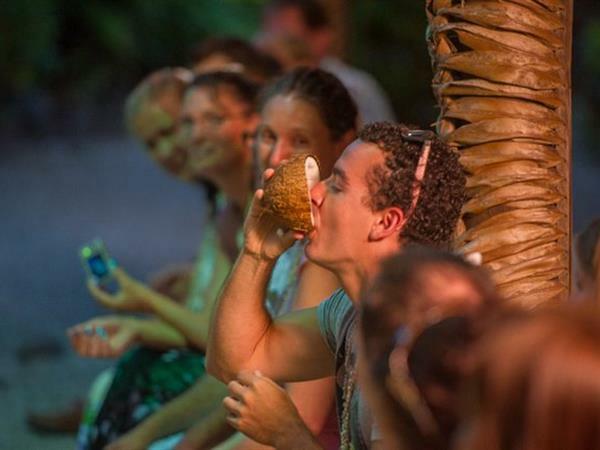 The Cultural Village Tour is an Interactive and educational Experience where you can immerse yourself in the powerful story of our Cook Islands Maori culture. Your Cook Islands cultural experience includes learning about our Polynesian history, traditional medicine preparation, ancestral fishing and navigation techniques, legends and beliefs. Local artisans and craftspeople will show you how we carve, weave, prepare our local dance costumes and cook our traditional foods and you will visit a Marae (sacred enclosure for religious ceremonies) and more…. Interactivity is a key theme to our tour and we invite you to participate in many of these activities, learning and experiencing the true Cook Islands way. Upon arrival you are welcomed with a glass of bubbles. At 5.00pm our Village Tour starts with a "Turou" welcome introduction call into our Village gates, where you will be escorted by our knowledgeable guides and the beating sounds from our “Calling Hut”. First visit is the "History Hut" which talks about ancient warrior weapons, cannibalism, missionaries, the seven canoe migration, traditional navigation techniques, legends, first governance and more. The next visit is to the "Marae", a sacred place where High Chiefs of the village meet for ceremonies and any issues surrounding the village and its people. 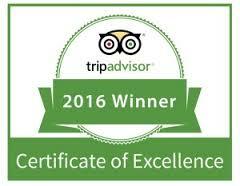 This is followed by a visit of the "Witchdoctors Hut" where our traditional Maori medicines are revealed and explained. You then move to our beautifully decorated “Fishing Hut” which talks about the old fishing methods and ancestral fishing techniques and tools, pearls and local pearl farming with tattoo tools and demonstration. Moving through our botanical garden you come to our “Costume Hut” where again there are displays and demonstrations of our traditional costumes and how they are produced, weaving, Tapa making and more. Our traditional “Carving Hut” where our warriors show you the ancient carving tools and give you a chance to drum our “pate’s” known as the local drums of our islands. Guests will be given the opportunity to swing those hips as our warriors drum a symphony beat. One of the last huts is our “Coconut Hut” which explains and demonstrates everything to do with the “Tree of Life” with a full entertaining show of coconut climbing and husking. The Village Tour has arts and other aspects of Cook Islands Maori culture reflective of a proud race of Polynesians who will graciously share their culture and tradition with you.